Just squeezing this post in before midnight. I've been wanting to do a post series for a while now, and didn't really know what to do until today, when I was playing about with Photo Booth. 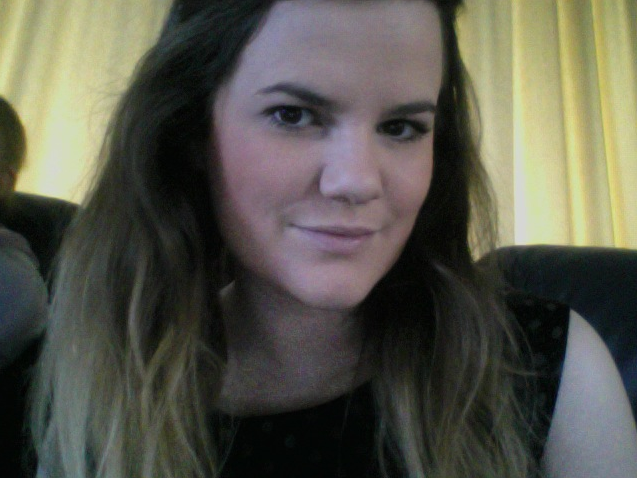 I thought I'd start sharing a webcam picture of myself every week under the title 'Monday Mugshot'. Hopefully you like the idea..? I took this just before I went out to the shops with my boyfriend and daughter this morning. I hope you've all enjoyed your Bank Holiday Monday! Have you done anything nice? Our 3 day weekend is next weekend, so I'm looking forward to that! I love having personal update posts on blogs, I've just brought it back onto mine. I think Monday Mugshot is a great idea, also the title made me chuckle a little, it reminded me of a wild west film. But you look lovely! I'd love to say I had a super 3 day weekend, but, alas it is exam season. I'm following you here and on twitter, hope you'll follow back! love your blog! thanks for the mention on twitter as well!